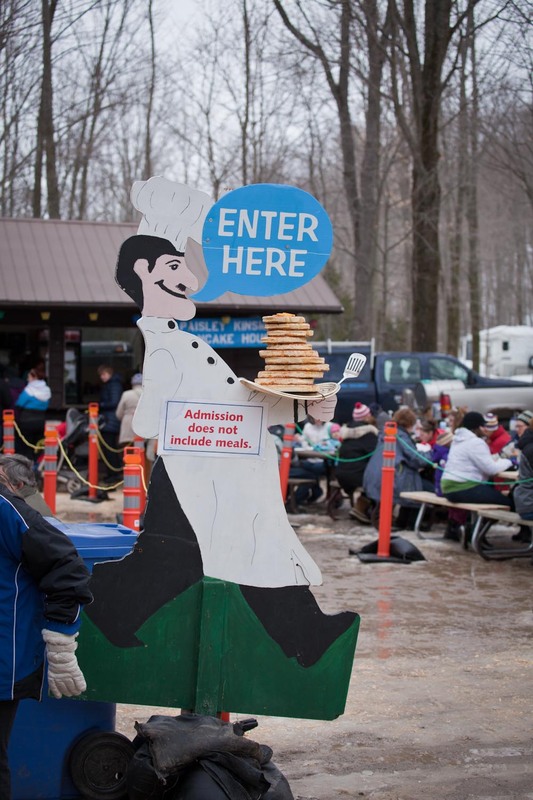 As a first time Maple Syrup Festival goer, I really had no expectations on the day. 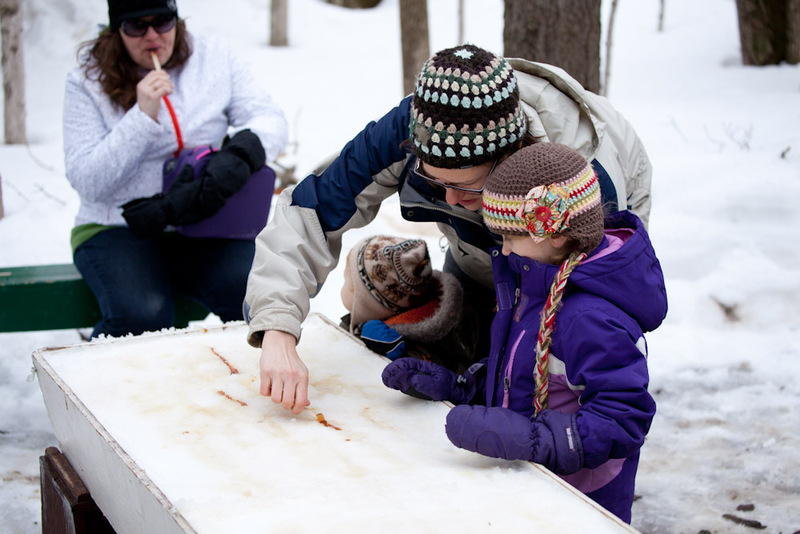 Amidst the great melt that has started, introducing a world of puddles and mud, the Saugeen Bluffs Maple Syrup Festival was extremely well organised and a whole ton of fun! The day revolved predominantly around finding the next amazing thing to eat. After taking a yellow school bus from the parking area to the conservation area (which was great because Dora’s been dreaming of riding on a yellow school bus), we just happened to find ourselves in line for pancakes and sausages drizzled in maple syrup. They were surprisingly tasty given the volume of food being produced. We took a moment to learn the process of how maple syrup is made. It starts by tapping the tree, which allows the faintly sweet tasting sap to drip into a bucket. There’s definitely an art to this process, including knowing the best age of tree to tap, where to tap the tree, and how many times the tree can be tapped. 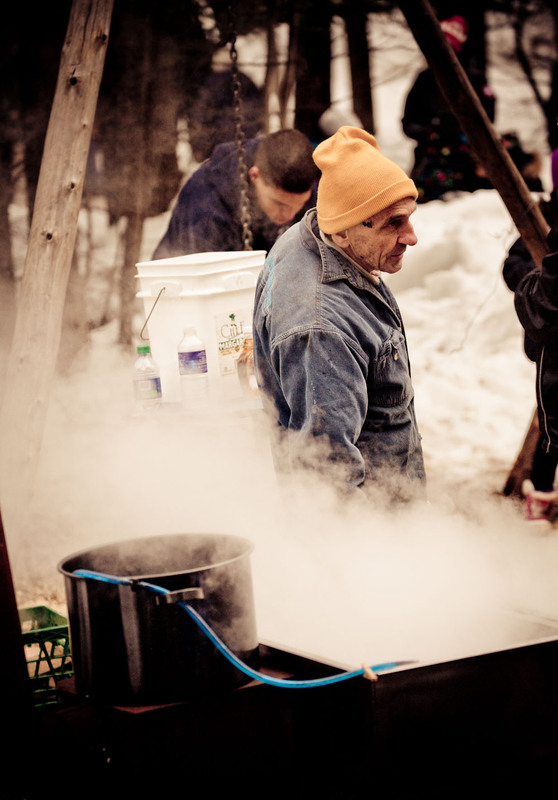 A staggering 40 gallons of sap is required to make about a gallon of maple syrup. First it is boiled and then filtered before it becomes what we know and love as Maple Syrup. After all that learning, we were treated to a hot apple cider. 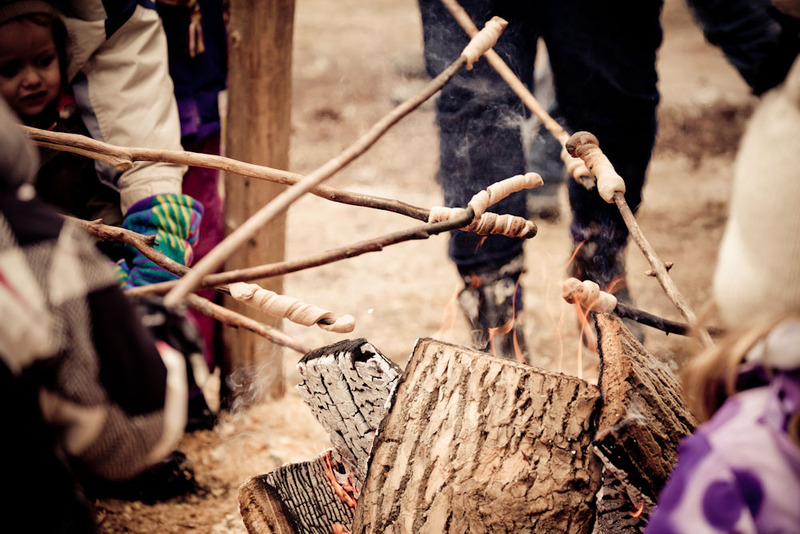 A few short steps later, we were heating our own Bannock over a fire. Bannock is a flat bread, which originated in Scotland. However, the native North American treat differs slightly, as it may include fruit, or on this occasion, it was sweetened with cinnamon. To continue the trend, we broke up the eating with another activity. After dragging Boots away from the deafening sound of the black powder guns, we followed the sound of drums. Marlea, Dora and Boots were up first in beating a 200-year-old drum. This was followed with a ‘mens’ only drumming circle. 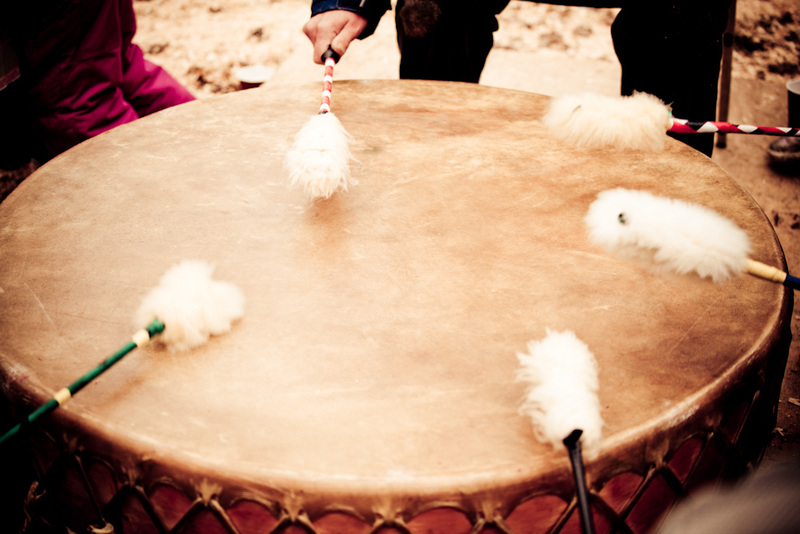 It included not only drumming but wolf cries, and other indigenous ritual chanting. I found it incredibly therapeutic, and I really enjoyed the cultural experience. 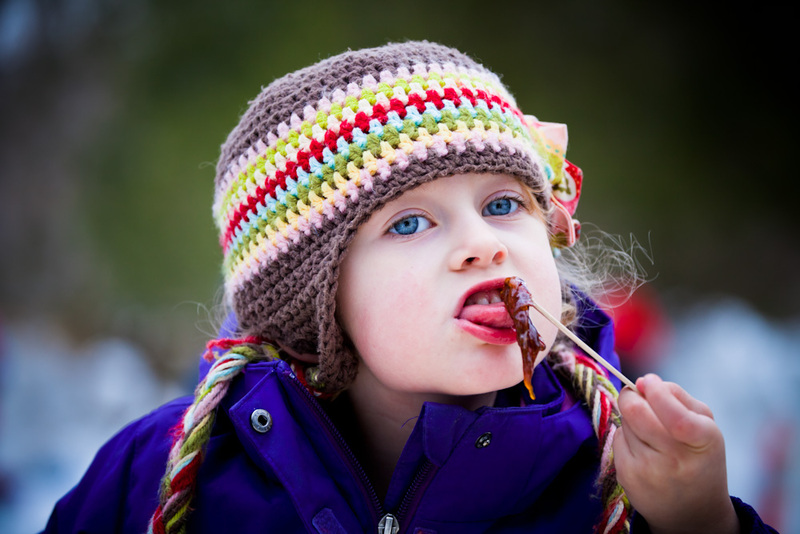 On the way to get fresh-cut french fries, we devoured freshly made maple syrup dipped donuts, and managed to find ourselves on our 3rd horse-drawn sled ride of the winter… much to the kids delight. Full of good food and fresh air, we headed home. I highly recommend this event for all ages, a fabulous day out.